A bicycle named Rosie, a talking peacock, a kleptomaniac care provider and a hallucinating doula….. As one turns the first few pages, one wonders what this book is all about. With the narrative moving from Orcas Island to Seattle and then all of a sudden to the “Land of Tausi”, a mystical island, Kayce Stevens Hughlett’s debut novel is a treat!!!!!! The story revolves around Monica, Izabel and Daisy. Monica, an aid worker with a fetish for shoes, has a meltdown at work and this event ricochets a series of flashbacks into her colourless and monotonous life. Daisy, on the other hand, is a girl caught up in a strange blue world, with a talking peacock and a multi-coloured okapi. With no recollection of how she got there, she tries to make sense of this adventure. Far away on Orcas Island, Izabel, who has no recollection of how she even got onto the island, gets caught in her own experiences. While helping a mother deliver, the traumatic experience passes onto her and opens up a box of lost memories. Blue was inspired by the writer’s active imagination and the desire to explore her experiences as a psychotherapist and life coach. Very deftly, Kayce manages to pique the interest of the reader and paint a vivid picture. The vibrant cover adds to the intrigue and as the pages turn, it’s very difficult to stop. The reading experience is as exciting as trying piece together a puzzle. And YES!!!!! !In the end it all falls in place and what you see before you is a story that is complex, yet emotionally rewarding. A must read, especially for ones who enjoy fantasy!!!!!! ……….Monica had developed her eccentric behavior of talking to nonhuman things—wine, furniture, the birds outside her window, and, of course, her shoes—after she’d started living alone. The difference with the shoes, however, was that she was certain they reciprocated the conversation. When she was in her inner sanctum, it was as if the chatter inside her head made sense like it did at no other time. She knew others might deem her crazy, but she could hear the silk pumps telling her she was beautiful. The heavy boots convinced her of her strength. Flip flops encouraged her to go outside and play, and the Louboutin heels spoke of exotic places she longed to visit. ………..Sitting on a cliff high above the sea, Izabel looked at the passage she’d copied in her journal the night before: words from Sue Monk Kidd’s The Dance of the Dissident Daughter. “The truth is, in order to heal, we need to tell our stories and have them witnessed . . . Sometimes another woman’s story becomes a mirror that shows me a self I haven’t seen before.” Izabel stared out across the open water and wondered what wound it was that she needed to heal. 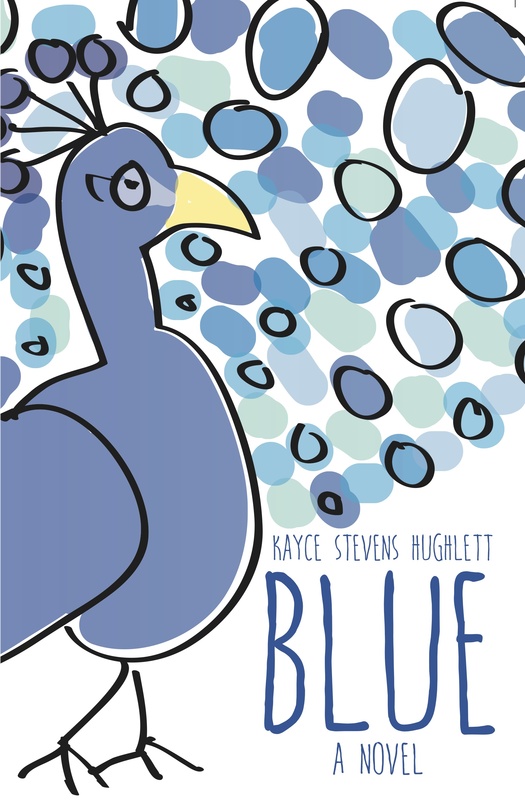 This entry was posted on September 12, 2015 by artikabakshi in Book Reviews, Fiction and tagged Blue, Kayce Stevens Hughlett.